Enough With All The Folk Music! Let’s Hear Some Rock N’ Roll! 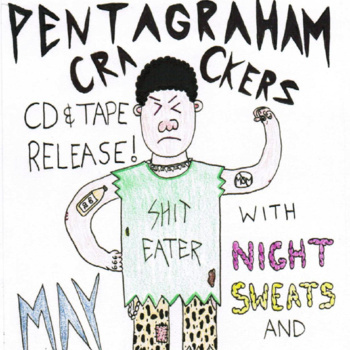 The debut album from The Pentagraham Crackers, Live From the Palace of Payne, is simply a fun, rockin album. The music matches the groups name itself—it’s quirky and fun with just a hint of evil. It’s dark lyrics with dancy riffs and a promise to never take itself too seriously. Nick Neihart, whose bowl cut and Tom Selleck mustache make him look like a movie character from the 70’s, fronts The Pentagraham Crackers. His previous self-titled album Songs Made of Salt was a singer-songwriter folk album rich in lyrical depth and brooding intensity. Live from the Palace of Payne is a departure from this genre as Neihart brings us a rockin surf punk record. It’s noticeably lighter, and yet lyric and poetic enough that the melodies stay with you and make you think. The lyrics themselves are nothing light, but the music and occasional yeehaw and faux southern drawl from Neihart remind us that we’re allowed to have fun. The first track “Mouth Full of Gutters,” starts slow and bluesy but by track three your playing air drums in your car. Track three is a fun song about killing yourself where Neihart sings “ I’m gonna get myself some of that sweet sweet lovin, gonna stick my head in an old gas oven!” Track eight is another fun one where the chorus has Neihart yelling “Depression!” over and over again with a classic Ramones punk vibe. It’s fun and sad and dark all at the same time. The drums are fast and the guitar riffs hard but the lyrics themselves are perhaps the best part of the whole album. The chorus from “Birds to Breath” is just one example of the incredible lyrical quality of Neihart’s work, “I’ll be the one to break your tired neck, “ he sings “let the birds into your chest/their wings will beat the wind into your breath/and those secrets that you’ve kept, will one day resurrect.” While on other songs, melodies of “heaven is a quiet place” echo softly in the background. The album ends with the song “Forty Ounces of Blues,” a slow bluesy tune that settles us back into the darkness we’ve just entered and danced through. But the entire album is a reminder that sometimes there’s nothing to do with darkness but laugh in its face and dance in its backyard. Perhaps munch on some graham crackers, put them in the shapes of pentagrams, just for fun. Grocery store bags in hand, with a pair of sunglasses, leaning against a used grey van. Don’t ask how its body was supported. It wasn’t. 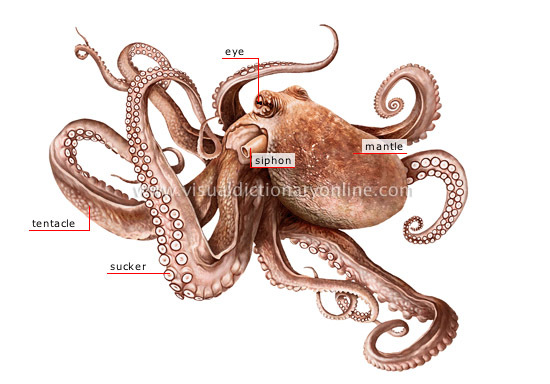 Those late-nights when you can’t sleep, and feel something slippery inside you, suction cups against your ventricles, that’s it, they use your body as a sarcophagus, right there in your esophagus, because they like to die in long stretches of tube that rhyme with ancient Egyptian burial rituals.